Any likes or dislikes about the pattern? Worked out really quickly and easily. No complaints. 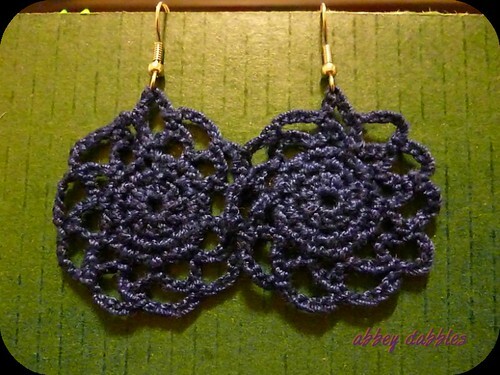 Pattern alterations or any design changes made: None, but I’m sure adding some beads to the last row would make these earrings even nicer. Possibility of crocheting it again? Of course! I got plenty colours of Size 10 thread in my stash.